It pays off in the most valuable commodity there is, time. I’m pretty sure it wasn’t worth what I went through. Things have gotten back to normal here in the TV garage. One night during a session for Nebraska a piece of equipment ‘poofed’! The replacement I borrowed the next day ‘poofed’ too. Oy! Emotional wreck. A lot of people came through for me–especially H.
My work is spread across a bunch of computers. The data is only useful for minutes or hours. I didn’t lose a lot. I did have to rebuild the macros which run the shows. That actually turned into a good thing. 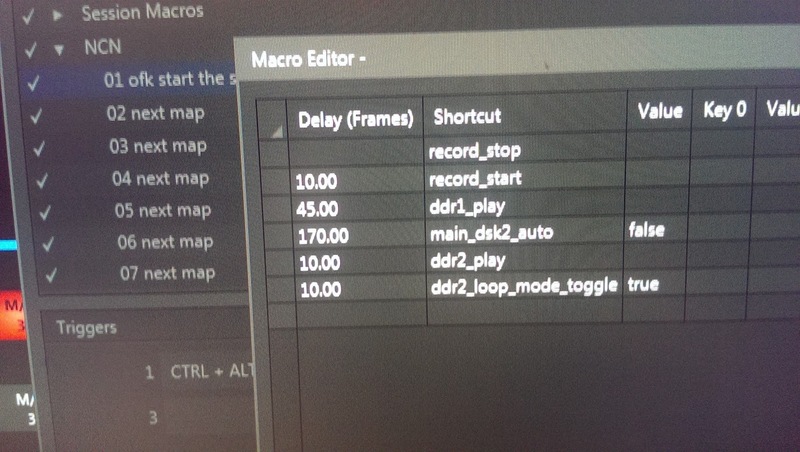 Macros are short programs which tell my TriCaster switcher what to do. Each time I push a button, the TriCaster performs one or more tasks specified in a macro. This is how I direct while I’m on-the-air, macros. This is a big deal. It pays off in the most valuable commodity there is, time. I’m pretty sure it wasn’t worth what I went through. It would be interesting to watch a weather forecast to see how it looks. Even if it’s for Nebraska. We can see how all the toys wprk for you. It would be nice to see a weather segment to see how all the toys are working for you. Even if it’s Nebraska. Viewing Nebraska forecast would be Interesting! Again having Geoff’s daily CT weather forecasts would be Great!!! Yes, but sometimes it’s best to move on to something bette. Just like when we’ve moved from one job to another. Some of the people we worked with missed us but we did improve our position in life by the move. Previous Previous post: He Said What?